In 1869, Peerless started in Cincinnati, Ohio, by producing a clothes wringer that turned out to be quite profitable. In 1891, Peerless moved into the bicycle industry and produced 10,000 bicycles annually. Peerless bought DeDion Bouton, a successful French company, about a decade after Peerless joined the bicycle industry. They then started producing motorized tricycles and quadricycles in American. 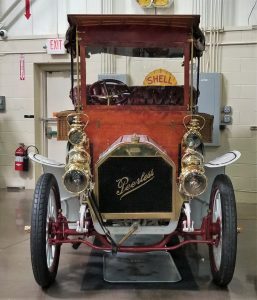 Peerless wanted to create their own line of automobiles, so by August 1903, Peerless had a 16hp two-cylinder, 24hp four-cylinder Type 8, 35hp Type 7, and a rare 60hp Type 12, that was offered for 1904. This aluminum body on the car was built by J.M. Quinby Company in the style of Roi des Belges (King of Belgium). This also refers to the large tulip-like bulges from behind the seats that came from European styling. This Type 8 was the most modern and fastest production car in 1904. 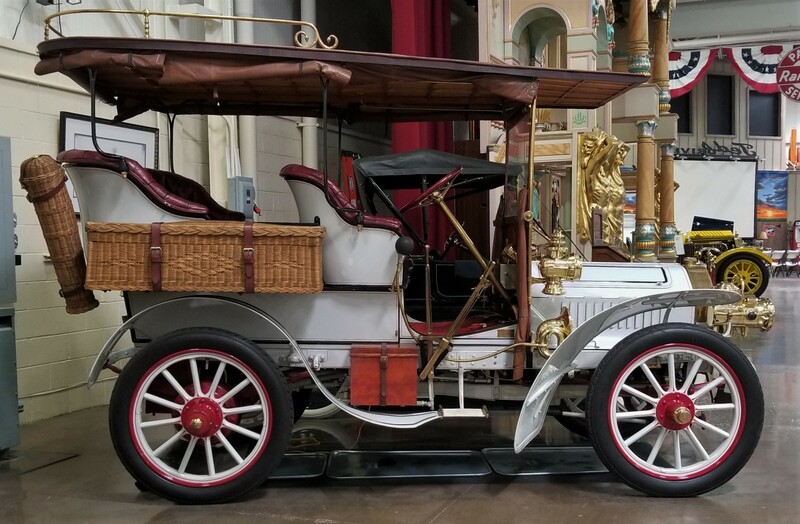 This vehicle completed the London to Brighton Veteran Car Run in England three times. 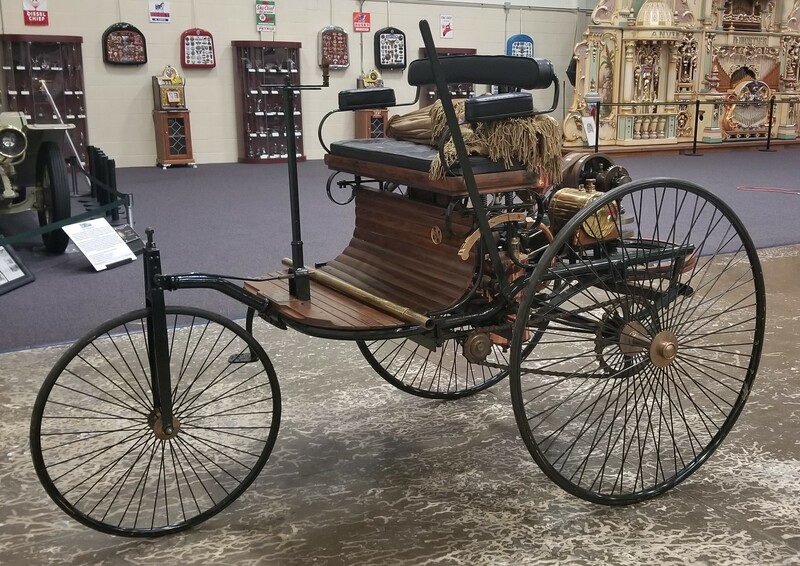 Carl Benz submitted a patent on January 29, 1886, to Berlin’s Imperial Patent Office for a gasoline powered three wheel machine. Patent number 37435 is expressed as the first automobile to have an internal combustion engine with an electric ignition system. The single cylinder 954cc, four-stroke engine was tested and produced 0.9hp at 400rpmby the Technical University of Stuttgart. In 1888, Bertha Benz borrowed her husband’s car to take it on the first long distance trip with their two sons, Eugen and Richard. Carl refrained from taking long jaunts. Petrol used at the time was a solvent known as Ligroin. When Bugatti’s spectacular Type 57 debuted in 1934, it would ultimately prove to be the final all-French design in the marque’s short but brilliant history. Company patriarch Ettore Bugatti was fully committed to developing the petrol-powered rail cars ordered by the French government, so design of the new high-performance touring car was handed over to his talented son, Jean – who was just 23 years old at the time. Jean and senior engineers Pichetto and Domboy were wholly responsible for the specification of the car from the ground up, including the chassis, engine, and factory coachwork designs. To compete in the market, Bugatti needed a fresh design; one that retained the performance and style for which Bugatti was known, while offering new levels of comfort and easy operation. The Type 57 was based around an all-new twin-cam, inline eight-cylinder engine displacing 3,257 cubic centimeters. Only the basic layout was shared with earlier models, as the block (with integrated head) and crankcase were all new items. A series of bevel gears drove the camshafts, which offered superior refinement over the previous straight-cut style. In standard form, the new engine was capable of a highly respectable 135 horsepower. While the Type 57 was not officially raced, the fundamental engine design was shared with the Type 59 Grand Prix cars. The chassis featured Bugatti’s traditional solid front axle which had been highly developed and well-proven by hundreds of racing victories. Bugatti further refined the ride and handling to suit the Type 57s intended purpose as a fast yet luxurious touring car. While American companies like Packard and Cadillac had begun to offer synchronized transmissions, Bugatti retained a non-synchro gearbox, but with quieter helical cut gears and a smoother change from the older dog-type gear-change of older models. This fabulous chassis were then clothed in a series of factory-designed saloon, coupe, and cabriolet bodies in addition to some of the most spectacular art-deco coachwork by coachbuilders including Figoni et Falaschi, Gangloff, and Saoutchik. The factory offered four distinct styles; the Galibier Saloon, Ventoux four-passenger coupe, four-seat Stelvio cabriolet, and the two-seat Atalante coupe. The Bugatti Type 57 and its derivatives are counted among the most important collector cars of all time, offering stunning looks, electrifying performance and the historical importance that only comes with the great cars from Molsheim. Presented here is a 1934 Bugatti Type 57, equipped with stunning Atalante coachwork. The Atalante is one of the most sporting and stylish of all the Jean Bugatti-designed bodies. Featuring a distinct close-coupled roof line, long, flowing tail and distinct sweeping feature line down the body, the Atalante is a visually arresting design. Bugatti continually refined the styling, and each car was built to individual client specification, meaning very few cars were identical in detail. This stunning automobile is chassis number 57167, an early example of the Type 57 chassis. Factory records show this car was delivered new on May 14, 1934 via French dealer Moneshier. 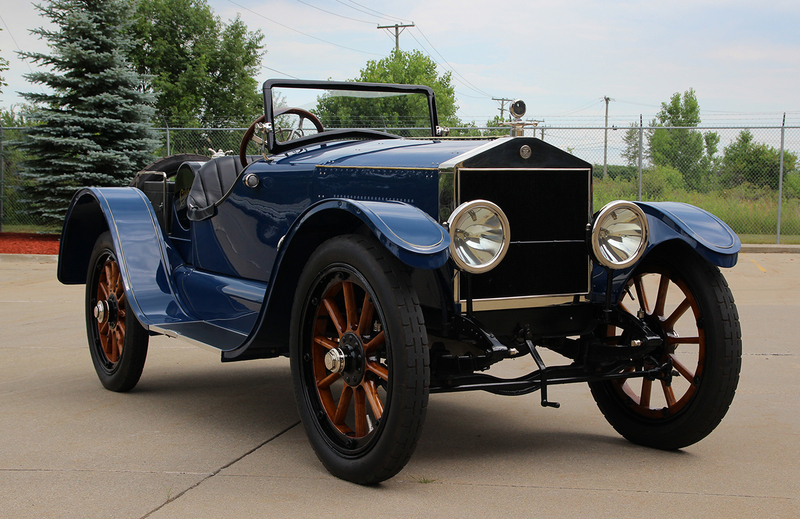 The first owner is listed as a Monsieur Cabaud, though little more of this car’s early history is known at this time. In the late 1980s, the car is believed to have been found in Central France where it was shipped to the UK, needing restoration. While there, it belonged to a respected Bugatti enthusiast who produced a number of high-quality engine parts for fellow owners. He intended to restore car at that point, though it seems the project took some time to get off the ground. Today, this magnificent Type 57 has been fully restored to a high standard and is presented in stunning colors. The two-tone green livery is exquisitely judged, and paired with a gorgeous saddle-tan leather interior. The body is finely detailed with a mix of crisp edges, well-defined coach lines and a soft, flowing profile. It is truly one of the most beautiful and elegant sporting designs of the thirties as well as one of the most instantly recognizable. Aside from its meticulous cosmetic restoration, this Bugatti Type 57 benefits from a complete mechanical overhaul, and it has been beautifully dialed-in by its most recent owner for use on tours and rallies. The eight-cylinder engine emits its distinct growl through the exhaust, accompanied by the whine of the valvetrain for that signature growling soundtrack. The car successfully completed the week-long International Bugatti Owner’s Meeting on the island of Sardinia in 2107; a testament to the quality of the restoration, as well as the incredible capability these cars have always had. In many ways, the Bugatti Type 57 is the ultimate collector car. It represents the pinnacle of refinement and performance from Molsheim, and is the last of the great machines from the most fabled of all the French Grandes Routieres. One of just six GL chassis known to exist today, this ‘Grand Luxe’ Delage was fitted with a Labourdette Skiff body from new. Constructed from wood with techniques normally used for boats, these Skiffs were among the most exclusive machines available during this time. Due to the delicate nature of the materials used, very few survived. 6-cylinder of 363 CID, with overhead camshaft valve gear. During the 1970s it was discovered by British restorer Paul Grist in the collection of Sir Francis Samuelson. Apparently he used the rare Delage as a tow vehicle. Most of the body had nevertheless survived unscathed and the car was subjected to a full restoration. 180 were manufactured from 1924 through 1926. It is believed this is the only Delage GL ever bodied by Labourdette. This example was exhibited at Pebble Beach in 2005. Built in Germany and named after the Greek God JANUS, who looked both forward and back, this car has 2 doors: One in the front and one in the rear. The seat can be re-configured to lay flat to make a bed so that you could camp in the car. 20 were originally imported to the USA for sale, but only 10 were ‘officially’ sold. The whereabouts of the other 10 are unknown. Many people think this car is a BMW Isetta (which has a single door that opens in the front). It is not. It was, however, offered for sale at about the same time. This is the only car that Zundapp made and it bankrupted them. They needed to sell 15,000 to break even, they only sold 6,900. Previously they made motorcycles and scooters. Ford’s Model T is one of the most significant inventions of the 20th century. It is the car that put America (and much of the rest of the world) on wheels. 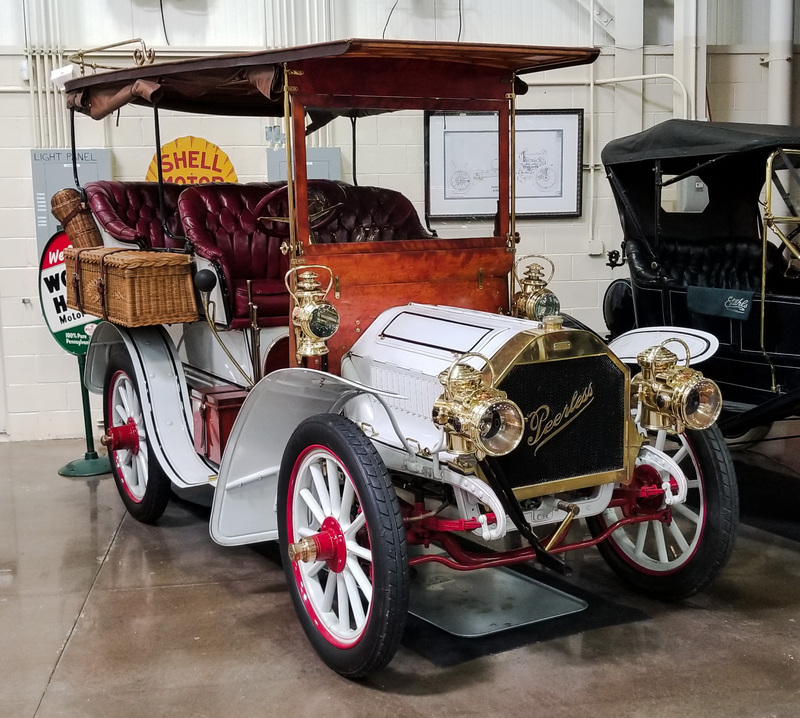 Built on Henry Ford’s moving assembly line, the Model T was built in numbers that were previously unheard of in the manufacture of such a complex machine. After nearly 20 years of production, Ford had produced over 15 million Model Ts. Ford offered a wide variety of body styles from the factory, from practical to sporty. For 1911, the sporty end of the spectrum consisted of the 3-Passenger Runabout, 2-Passenger Torpedo Runabout and 2-Passenger Open Runabout. The primary difference between the latter two is that the Torpedo Runabout has doors, while the Open Runabout features a step-through body. Ford’s “all black” paint policy would not take effect until 1914, with the only gray, green, red or blue offered until then. Marmon can easily be counted among the great American marques alongside Stutz, Mercer and Duesenberg. 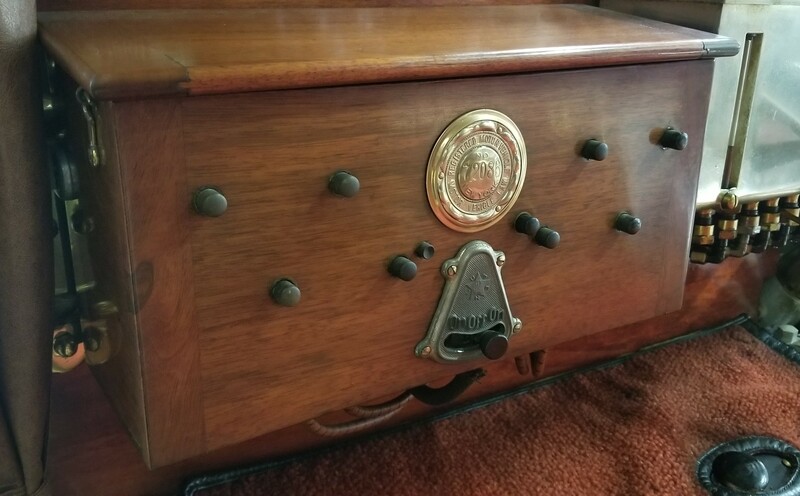 Founded by Howard C. Marmon in 1902, the company was built on a reputation for exceptional engineering and quality all the way though its demise in 1933. Marmon found success in the showroom as well as on the race track, with their most famous achievement coming in 1911 when the Marmon Wasp (a bright yellow racer with an extended tail) driven by Ray Harroun, became the first car to win the grueling Indianapolis 500 mile race. The Model 34 was a highly advanced car, with its “unification construction” that foreshadowed modern unibody design and overhead valve inline six-cylinder engine. Extensive use of aluminum in the engine translated into an even 50/50 weight distribution which was almost unheard of at the time. When Barney Oldfield drove a Marmon “Beetail” speedster to pace the 1920 Indy 500, he ran upwards of 80mph, leaving some of the actual race competitors struggling to keep up! From that point on, the Marmon Model 34 was the car to have for wealthy young sportsmen. 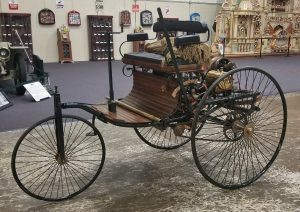 Elwood Haynes had his start in the automobile business in 1893 when he purchased a Sintz marine engine, which he intended to install in a horse buggy. Lacking the necessary machinery to make the transmission and other mechanical parts he approached the Apperson Brothers machine shop and by July 4th 1894 drove his car down the streets of his hometown of Kokomo Indiana. Haynes and Apperson began building cars in 1898. Haynes was fond of telling people that he built “the first car in America” a story he told for years. But the Duryea Brothers are credited with being the first to build a production vehicle in 1893. 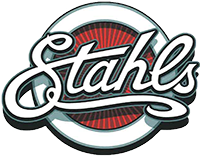 Haynes is credited with inventing stainless steel and the thermostat. This 1917 model 37 Light Six roadster features a unique body, having two doors and what appear as very early bucket seats for the front passengers and a passageway to the back seat. Haynes moved the gearshift forward in 1916 to allow this unusual seating arrangement. Powered by an in-line six cylinder engine of 288 cubic inches, this car had a top speed of 60 mph. The company produced cars from their Kokomo factory until 1924, when creditors petitioned the US federal court to declare Haynes bankrupt. Elwood Haynes died in April of 1925, and the hope of saving the company died with him. As the teens rolled into the twenties, many owners of high quality Brass Era motorcars were facing a dilemma. Their machines were falling out of fashion as automakers introduced new, ever more modern body styles. Owners could cut their losses and sell their perfectly good automobiles, or simply order a new body to make their older car look new. This became a rather common practice for owners of extremely high quality cars such as Rolls-Royce, Locomobile and Cadillac. 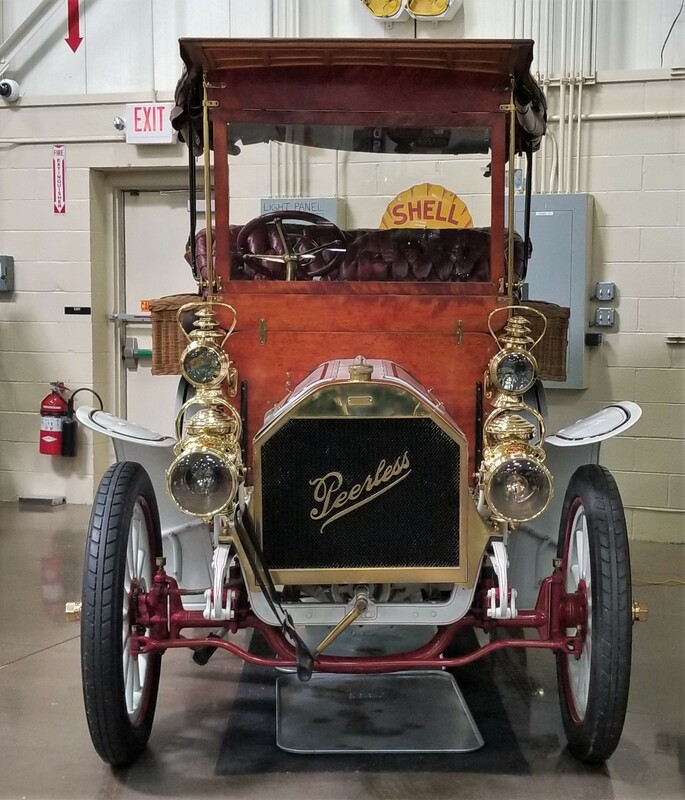 This 1914 Cadillac is one such car that received a new body when it was just a few years old in order to keep it in vogue. Originally a 2-passenger roadster, the Cadillac updated in 1919 with this 2-passenger “Military Sport Roadster” body by Schutte Body Company of Lancaster, Pennsylvania. Schutte bodies were known for their unrivaled quality, and were often seen fitted to the finest cars in America. This is believed to be the only Cadillac to wear this sporty Military Sport Roadster body. This vehicle was retained by the same family for 98 years.